Born: 27 September 1847, Enniskerry, County Wicklow, Ireland. Died: 6 March 1930, Elgin, Western Cape, South Africa. Charles Frederick Kennan Murray studied medicine at Queen's University, Dublin, and after qualifying as a Licentiate of the Royal College of Surgeons of Ireland in 1867 graduated as Doctor of Medicine (MD) in 1868. After serving in the Royal Navy for five years he came to the Cape Colony in 1874, was licensed to practice in July that year, and joined the practice of Dr John Wright in Wynberg, Cape Town. After Wright's retirement he continued in partnership with Wright's son (H.C. Wright), and later with his own son (Charles M. Murray), and became a leading figure in the medical community. In 1876 he married Caroline Molteno, daughter of Sir John Charles Molteno, premier of the Cape of Good Hope. They eventually had eight sons and two daughters. By 1893 they resided in Kenilworth, where he was still living in 1926. Murray continued to improve his medical qualifications during his active career. In 1884 he obtained the degree Master of Surgery (MCh) at the Royal University of Ireland, and was elected a Fellow of the Royal College of Surgeons of Ireland. Twelve years later he obtained the degree Master in Obstetrics (MAO, 1896) at the same university. Meanwhile he had already read the main paper on obstetrics at the second South African Medical Congress in 1894. He was a Fellow also of the (British) Gynaecological Society. From 1885 he was visiting physician, and from 1890 consulting physician, to the New Somerset Hospital, while serving also as surgeon to the Victoria Cottage Hospital in Wynberg. Murray was a leading figure in the activities of the medical societies of the Cape, and used them to promote the organised development of public health services. In 1887 and again in 1888 he was elected president of the first South African Medical Association, the members of which were mainly confined to Cape Town. In his 1888 presidential address, "National disease problems", he stressed the need for a government department of medical affairs, presided over by a Minister of Health. During 1888 the South African Medical Association was replaced by the Cape of Good Hope Branch of the British Medical Association. 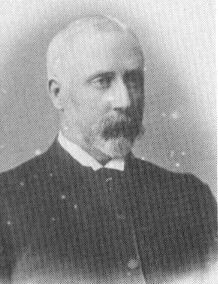 Murray was its first president, serving in this position again in 1889 and 1901. In his presidential address to the branch in September 1889 he again stressed the need for a Department of Public Health. A few years later, at the first Medical Congress held in Kimberley in 1892, he once again discussed the importance of establishing a controlling sanitary authority for the whole colony. The idea received wide support from the medical fraternity and some years later led to the appointment of the first medical officers of health. From January 1892 to December 1894 Murray served as the first president of the Colonial Medical Council, and was a member of the council to 1898, and again from 1901 to 1921. He was chairman of the Leprosy Commission of 1894-1895, and a member of the Plague Advisory Board in 1901. In 1905 he joined the British Association for the Advancement of Science, when it met jointly with its South African counterpart in South Africa, and was joint vice-president of its Section I (Physiology) during the meeting. In 1910 he was president of the 12th Medical Congress, held in Cape Town. Murray was not only involved in organised medicine, but also introduced some new practical innovations at the Cape. For example, in 1874 he was the first surgeon to use Esmarch's bloodless method for amputating a limb in South Africa. And at a meeting of the Cape of Good Hope Branch of the British Medical Association on 21 May 1896 he demonstrated a phonendoscope - a recently introduced type of stethoscope that intensified sounds from within the body. His few publications included notes on a case of long-standing renal calculi in both kidneys (The Lancet, 1885) and "The care of the feeble minded" (South African Medical Record, 1914, Vol. 12(23), pp. 390-408). He retired as medical practitioner in 1910, but during World War I (1914-1918) took charge of the Military Convalescent Hospital, for which he was later honoured as an Officer of the Order of the British Empire (OBE). He was a dignified and cultured person, with a charming manner, and was highly respected by his colleagues. In 1921 he went to live with his daughter at Elgin. Towards the end of his life he suffered from Parkinson's disease. Google scholar. http://scholar.google.co.za Publications by C.F.K. Murray. National Automated Archival Information Retrieval System (NAAIRS). http://www.national.archives.gov.za/naairs.htm Documents relating to C.F.K. Murray / Dr Charles Murray. South African Medical Journal (Series 1), 31 August 1887, Vol. 3(9), p. 34, The presidential address; 21 July 1888, Vol. 4(3), pp. 17-24, National disease problems (presidential address); 28 July 1888, Vol. 4(4), pp. 26-27, South African Medical Association; 15 October 1889, Vol. 5, pp. 50-55, Presidential address to the Cape of Good Hope Branch of the British Medical Association. South African Medical Journal (Series 2), December 1895, Vol. 3, p. 235, List of members of the Cape of Good Hope Branch of the British Medical Association; June 1896, Vol. 4, p. 52, Meetings of societies; May 1897, Vol. 5, pp. 20-21 and January 1898, Vol. 5, pp. 240-242, South African Medical Association, list of members.